Buying your first motorcycle is a big investment. 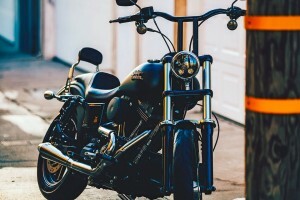 In this post, you'll learn the steps to take to find a motorcycle that fits your lifestyle, preferences, experience level, and budget. If you've never owned a motorcycle before, it's probable that you're intimidated by the decision making process. After all, how will you decide what is the best motorcycle for you? If you don't want to choose badly, this post will share some tips on how you can narrow down your options until you find the perfect motorcycle for you. First and foremost, you should be aware that there are a ton of different motorcycles available for you to purchase. From the brand, the model, the year, and its purpose, it's easy to get overwhelmed with the options. For that reason, you need to really think about what you need the motorcycle for (will you be riding it for sport? for functionality? ), where you'll be riding it (the city? a difficult terrain?) your preferences (from color, to size, and more), and your own level of experience. This will help narrow down your options quite a bit. Of course, your own preferences and expertise level aren't the only things to keep in mind when choosing the right motorcycle for you. As you can imagine, money plays a big part in the decision making process as well. In this case, you need to look at your financial situation (your plans for the future, your debt, how much money you have saved up, etc. ), and determine the kind of motorcycle you can afford (for example, opt for either a new or used vehicle). Remember to consider the motorcycle's maintenance, insurance, and other expenses in your budget. Speaking of your motorcycle's maintenance, keep the engine in perfect shape for longer with the help of AMSOIL 20W-50 Synthetic V-Twin Motorcycle Oil. Contact Superior Synthetics LLC at (715) 823-6525 if you're interested in purchasing the most effective synthetic motorcycle oil in Clintonville. Once you have a clearer idea of the motorcycle you need and what amount you can spend on it, it's time to do some homework in order to make some progress in the decision making process. That's why, you'll need to pick out motorcycles that meet your criteria and start looking for them online. Read everything you can find about the models, their drive-ability, how comfortable they are, and other features in the motorcycles you're interested in. Then, compare the information you've gathered. It's easier if you put everything you find into a spreadsheet, so the data is neatly organized. As we move forward with this tutorial, you must be coming closer to choosing the perfect motorcycle for you. Before you do, however, it's recommended that, based on the information you gathered in the previous point, you pick your 5 favorites and make appointments to see them in person (you can go to a salesman, or search online for owners looking to sell). Be sure to prepare questions or doubts you may have about the motorcycles, so you can ask the person in charge (for instance, it's a good idea to inquire about their experience with it, why they're selling it, and more). One step you absolutely shouldn't forget to take is to test drive your favorite motorcycles. This can be a game changer in this process, since you'll be able to experience first hand how you get along with the motorcycle, so don't neglect it. The test drive will also give you a better idea of the motorcycle's power, its drive-ability, and how comfortable it is for your body (if it's too tall, too short, too wide, or other), all of which is information you wouldn't be able to get otherwise. If you decide to buy a motorcycle, remember that you should keep its engine protected and lubricated with AMSOIL 20W-50 Synthetic V-Twin Motorcycle Oil. If you'd like to make an order on it, call Superior Synthetics LLC at (715) 823-6525, as they are authorized AMSOIL dealers in Clintonville. After investing a lot of time and energy tirelessly searching for a motorcycle that perfectly fit your preferences, your experience level, and your wallet, you've found the one! Congratulations! It's time to seal the deal, sign the papers, and hand over the money for you to become a motorcycle owner. Before you ride into the sunset, however, remember to get insured, buy the appropriate protective gear, and learn how to drive your motorcycle successfully. This will ensure that you have fun and safe rides on your new set of wheels.